Free!! 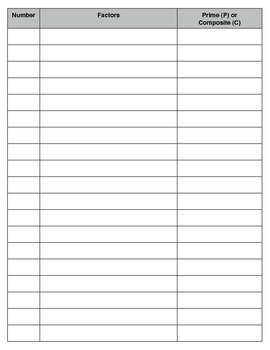 Use this pre-made chart to insert into your student's notebooks. List numbers in order or choose randomly. 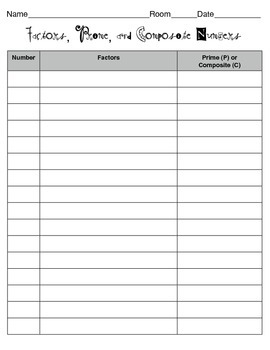 For each number, list it's factors and whether it is prime or composite. Enjoy!